Natural Threat 2 is a Sci-Fi story wrapped into some nice graphics and full of challenging puzzles. The story is quite relevant to our invironment-obsessed generation. This time the nature turns back on humans and it's either you and your family or ... plants. 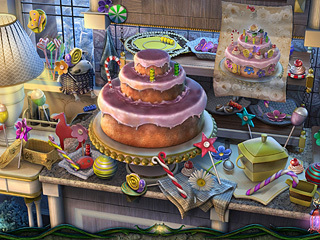 The game play is full of hidden object scenes. They remind of what we saw a while back in the genre. Once again the main character and the hero in this story is a woman. In this cataclismic situation, you play as Iris, who needs to go to her city over taken by giant plants to rescue her family and the city. The game's graphics are quite decent here even though you can find much more detailed and deeper ones out there today. The colors and light is nice. There are voice overs to make the story sound a bit more realistic and the music that makes the journey a bit more dramatic. 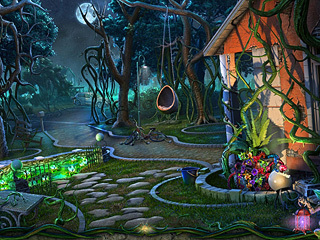 The game play is full of hidden object scenes. They remind of what we saw a while back in the genre. You get lists of items to find and there is a hint button to help you if you are stuck. Some of the items require interaction. The puzzles do not offer anything new to those who have been in the genre for quite a while. There's a journal to keep track of the events. There's no map to get you from one place to another. You can add more challenge by choosing the more challenging of the two modes. The game is not bad but you'd better play the free trial version in order to decide for yourself. This is Natural Threat 2 review. Download this game here.